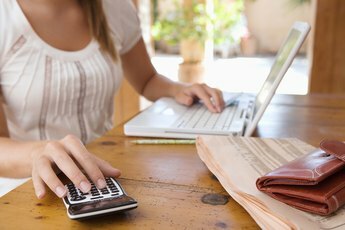 Quicken allows you to keep track of your finances on your computer. 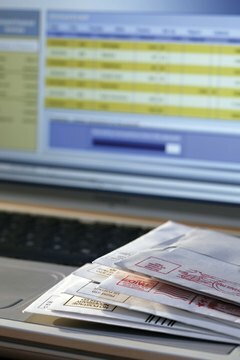 Quicken financial software allows you to record all your financial transactions on your computer. You can track spending, balance your bank accounts and manage investments from your laptop or desktop. Quicken also makes it easier to budget and manage your debt. Use the tools in Quicken to set a budget and stick to it, and pay off your debt. Print reports and graphs to give you visual proof of your progress. The first step in setting a budget is to track your spending. Quicken makes it easy to do this. As you record each check you write, each electronic payment you make, each cash withdrawal and each credit card transaction, Quicken software asks you to categorize the transaction. Quicken provides pre-set categories you can choose from, a good place to start, but you can also create custom categories to fit your lifestyle. You can print reports by category that show you how much you spent last month on gasoline, groceries, rent and other expenses. This immediately reveals where you money is going and helps you spot budget-blowing habits, like the $500 you spent on eating out last month, or the $600 you blew at the casino. Once you have a good idea of where your money is going, you can set up budget categories, with a category for each routine expense you need to have money for. Go to the Planning section of Quicken and Select Tools, the Budget. You can make these categories as broad or as narrow as you need them to be. You can have a housing category, for instance, or you can have a category for mortgage payment, house insurance and a home repair fund. Quicken also allows to establish sub-categories. For instance, if you want to establish a category for spending on your children, you could have a sub-category for each child. 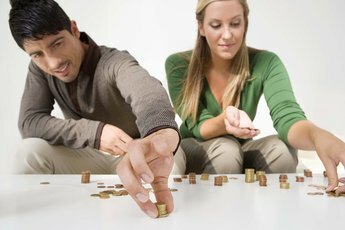 A look at your past spending patterns can help you define the categories that work best for you. Once you have your categories in place, set a target amount for each category. With Quicken, you can set a maximum amount you want to spend in each category, or you can ask Quicken to analyze your past spending habits and suggest amounts for each category. Select the Automatic option, and Quicken will fill in the amounts for you. To get out of debt, you need to know the size of the problem, so set up an account in Quicken for each bill. Under Planning and Tools, Quicken has a special section for Debt Reduction. Enter the amount of each bill you need to pay. Quicken allows you to play with different scenarios for paying off these bills, and will even make suggestions if you're unsure which debt to tackle first. Each month, as you make a payment on these bills, chart that in Quicken. This allows you to see your debt shrinking. As you get closer to your goal, you might even be inclined to put more money toward the smallest bills to pay them off faster. Then you can apply the payments you were making to these smaller bills to your larger debt to help it shrink faster. As you spend money throughout the month, record the transactions in Quicken and see how each expenditure fits into your budget. If you set aside time once a week to record transactions and look at your budget, you’ll know when you’ve reached your grocery budget for the month and need to cut back. Quicken also allows to set up alerts. If you come close to exceeding a budgeted amount during the month, a pop up warning on your computer will alert you. Use the Quicken reminder feature to alert you when bills are due, to avoid late fees.